Official description and preview images with spoilers for Containment Episode 10 on The CW, titled "A Time To Be Born..."
The CW has released an official description for the Tuesday, June 28 episode of Containment. Containment Episode 10 is called “A Time To Be Born…” and you can find the official synopsis with spoilers below. Browse KSiteTV for more content related to the series! TERESA GOES INTO LABOR — When Teresa (Hanna Mangan Lawrence) goes into labor, Jana (Christina Moses), Suzy (guest star Nadine Lewington) and Sam (guest star Shawn parsons) band together to turn Bitscan into a makeshift delivery room. Meanwhile, after spending some time with Dr. Lommers (Claudia Black), Lex (David Gyasi) grows concerned after noticing a sudden shift in her behavior. Elsewhere, Leo (Trevor St. John) continues to unravel the conspiracy behind the virus outbreak, while Jake (Chris Wood) stumbles upon some damning information about who may be involved. Finally, fed up with his lies, Katie (Kristen Gutoskie) confronts Dr. Cannerts (George Young). Carol Banker directed the episode written by Elizabeth Peterson (#110). Original airdate 6/28/2016. UPDATE: The CW has now released some photos! Only two, but that’s better than nothing, right? 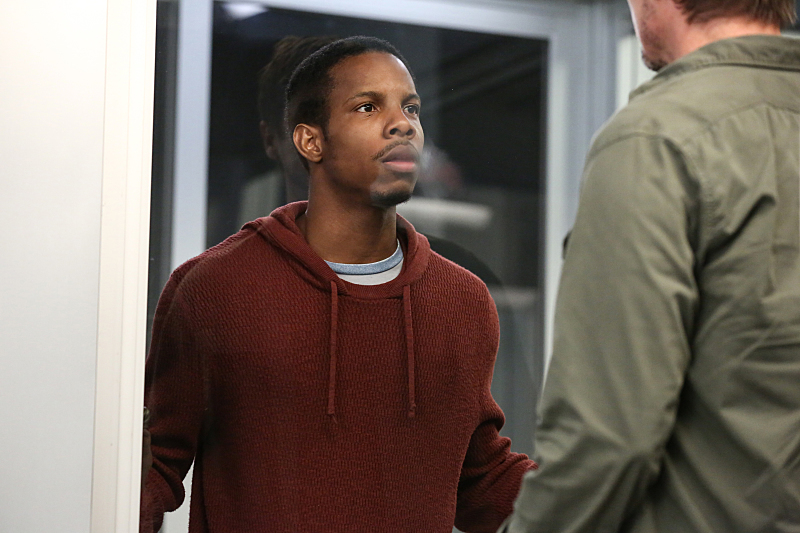 Containment -- "A Time to Be Born..." -- Image Number: CON110a_0031.jpg -- Pictured: Demetrius Bridges as Xander -- Photo: Quantrell Colbert/The CW -- ÃÂ© 2016 The CW Network, LLC. All rights reserved.